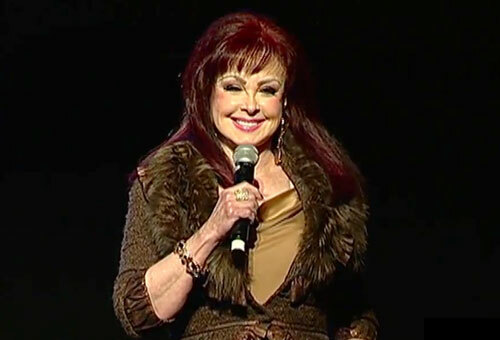 Watch Grammy Award winner Naomi Judd share her insight as to how we can live a positive, productive, healthy and happy second fifty by overcoming limiting beliefs in our life! Naomi is a survivor of Hepatitis C and served as the first national spokesperson for the American Liver Foundation. Using her fame, her experience as a former RN and her passion to help people, Judd has re-directed her energies into communicating her findings and research and educating audiences about the scientific link between mind, body and spirit in the healing process as a keynote speaker. Her humanitarian efforts including River Cities Harvest, the Saint Louis University Liver Center, M.A.D.D., Parents Television Council, the National Domestic Violence Hotline, and the July 4th Judd’s Annual Food Drive to benefit families of Appalachia. Christian Speakers 360 is a booking agent for Christian athletes and celebrities. If you would like to book Naomi Judd for a personal appearance, contact Naomi Judd’s booking agent for speaker fees at 1.800.966.1380.